Finally, an optimized checkout page for WooCommerce. Checkout for WooCommerce replaces your checkout page with a beautiful, responsive, and conversion optimized design. Works with every theme. How Checkout for WooCommerce will increase your sales. If you are using the default WooCommerce checkout page, you could be losing 30% of your customers. 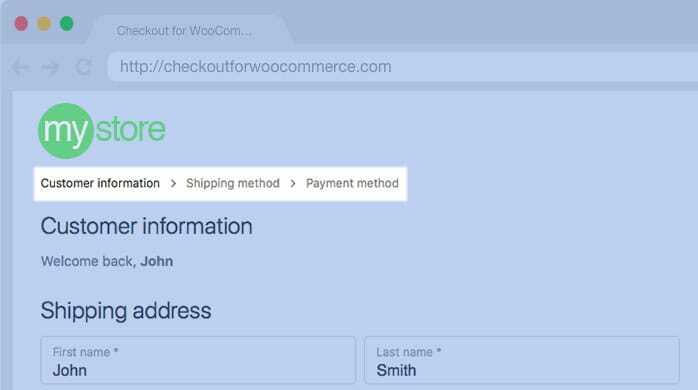 Checkout for WooCommerce makes it incredibly easy to optimize your checkout page. Checkout for WooCommerce is a no hassle solution for a seamless checkout experience. No configuration or coding knowledge required. Checkout for WooCommerce boosts conversions by streamlining the complex checkout and payment processing process. Checkout for WooCommerce is fully responsive and works with all WordPress themes out of the box. Reduce abandoned checkouts and unhappy customers with a drop-in solution that just works. Checkout for WooCommerce is uniquely designed to improve the WooCommerce checkout experience. Our system decreases cart abandonment and increase checkout conversions for your WooCommerce store. 61% of shoppers consider abandoning their purchase when a website is not upfront about cost. In fact, according to research, unexpected costs are the number one reason for shopping cart abandonment. Checkout for WooCommerce helps customers feel informed and in-control of their purchase experience by showing them total costs early in their checkout, before payment information is requested. We help build trust with your customers. According to research, nearly 30% of online shoppers will abandon checkout forms that are too long or complicated. 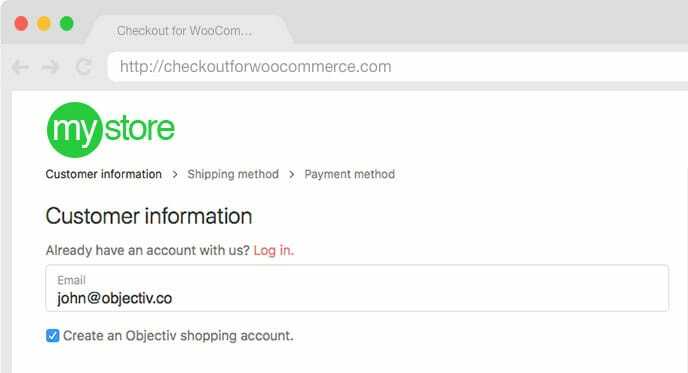 Checkout for WooCommerce breaks the checkout process up into three discrete steps that keep users focused on one category of information at a time. This reduces the chance for confusion or form fatigue, helping customers to complete their purchases more often. Forcing users to register for an account and choose a password during checkout can cause 35% or more shoppers to abandon their cart. Checkout for WooCommerce streamlines the account process by allowing customers to create an account without any additional information. Once checkout is submitted, they will get an email with information about their new account. If a customer already has an account, we offer them the chance to login but customers should always be able to checkout as a guest if possible. Auto-populate city and state fields based on postal code. Save all field inputs in local browser cache. Refresh? No problem. Instant field validation. No more surprises. We support most major gateways and many add-ons. We’re adding support for more every day. Don’t see what you need? Let us know and we’ll add it. Don't take our word for it. Here is what a few of our customers have to say. 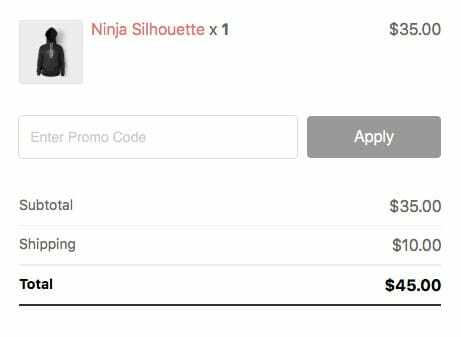 The work Objectiv has done to help make WooCommerce checkouts look and feel natural, and drive conversion, is top notch. I highly recommend Checkout for WooCommerce to every store I talk with. As an e-commerce store owner, you understand how critical the checkout phase is for your business. Too detailed and your cart abandonment rate will go up, so when I found CFW and started testing it vs. our existing template, I was ecstatic to see an increase of 17% vs. our previous checkout. Since, I've learned that the team behind is also very hard working and extremely fast to implement modifications/integrations. Checkout for WooCommerce makes customizing the checkout page easy and the process for customers even easier. I ask my customers only the info I need so they can complete the process faster. A more pleasant experience for them, and more sales for me. Try Checkout for WooCommerce for 7 days for free. Every product we sell comes with a 30 day money back guarantee.